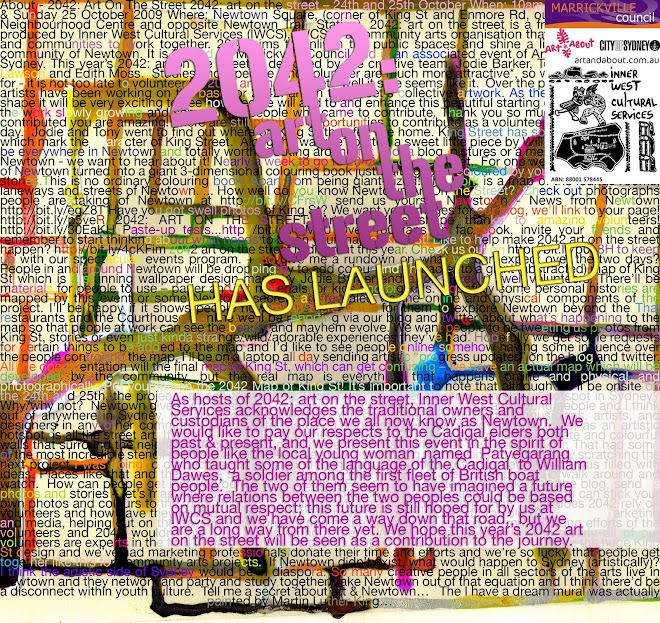 2042 Art on the Street is developiong nicely. There are so many cool little objects being built out of plasticine. People are drawing and adding their photos to our map making their own little urban art tour of the Newtown street art. Some people are just basking in the sun enjoying the day and some are getting really involved. Next to us are some climate change activists who are selling brownies that melt your face with deliciousness. We're two hours away from the end of our first day and there's a whole new day tomorrow. We need to get this map looking "comprehensive" and bit by bit it's getting there.